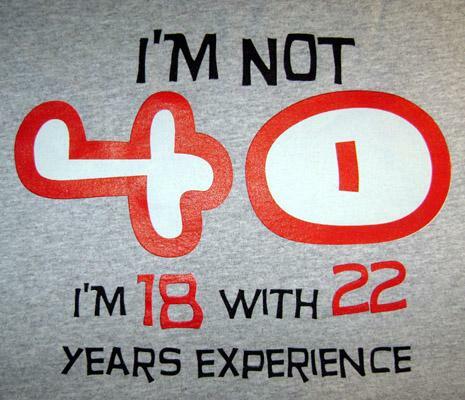 So I hit the big 4-0 today and I have mixed feelings. On the one hand, to be really, really, really honest, I didn’t think I would still be there. My brothers and I have struggled with the fact that one by one we have all passed D-day, which is the age of 37, the age our mother was when she died. We are, thank God, healthy and cancer-free and to some extent we all feel guilty that there was no cure for colon cancer when she became gravely ill. I recently had a conversation with both my brothers who, like me, secretly thought we wouldn’t make it to the big 4-0…now I’m here, I feel like we have each been handed a gift. I know all three of us live each day like it’s the last one on earth. We truly do. People ask about my prolific work ethic and I think that it’s partly to do with the short-life-phobia but more than anything it is just an endless thank you to the universe for allowing my passion for writing to be realized. I have been so blessed to be a published author and to have been able to connect with so many readers and writers online who, like me, also have a passion for books. I can’t help feeling that even though I am starting to feel aches and pains, can no longer indulge my obsession with ice cream and cornflakes for breakfast and I am starting to forget where I left the car keys…I am here. I am alive and I am writing and listening to music, I have the most awesome romantic partner ever, the best dog on four legs, two handsome, amazing cats…and I have the big 4-0. I want to thank all my readers and fellow authors who have reached out to me over the last four years. I hope you still do even though I am officially middle-aged. Anyone else noticing changes with the passing of years? What thing do you hate most? Please leave a comment and I’ll be giving away a free paperback of my new book The Love God of Indian Frybread. The primary change I’ve noticed is that gravity is no longer such a good friend. A cute little tattoo is now elongated, and not so cute. The good news is that as I age I laugh more easily and more often, and am much less concerned about those things I can’t change.